ArtsEquator Ltd is an arts media company that values and promotes Southeast Asian regional arts practice. Southeast Asia has a complex and vibrant arts scene, yet there are few spaces exclusively dedicated to in-depth criticism and analysis that is regionally orientated. We believe a robust arts media is an essential part of a healthy arts ecosystem. 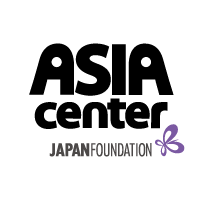 We are committed to developing arts writing and criticism which identify Southeast Asian creative practices as part of, rather than adjunct to, global contemporary arts. ArtsEquator serves arts makers, arts audiences and arts critics. ArtsEquator is a not-for-profit company based in Singapore. This collective aims to create intersections of networks to facilitate the transnational cultural exchanges; creating a space for sharing the contemporary artistic practices and its processes with the society to discover new artistic value for the next generation of art. 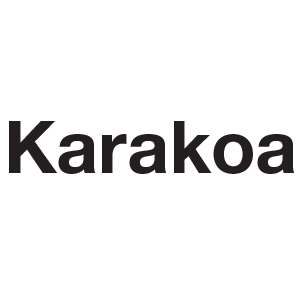 By bridging independent creatives with art spaces, networks, festivals, and cultural organizations– Karakoa is a vehicle for meaningful collaborations and exchange to provide a safe space for artistic ideas and expressions. Critics Republic is a website of criticism about Malaysian performing arts productions. Started by dance producer and critic Bilqis Hijjas with the support of the Royal Arts Gala Fund, it aims to commission original reviews, mentor emerging writers, encourage the public to express opinions, and aggregate reviews from other sources. Its faculty is led by a community of award-winning artists, designers, educators and researchers, and their practice-led research sets LASALLE apart as an international centre of excellence. Critically acclaimed alumni form the core of the cultural and creative sectors in Singapore and increasingly internationally. Founded in 1984 by de la Salle Brother Joseph McNally – a visionary artist and educator – LASALLE is a not-for-profit, private educational institution. LASALLE receives tuition grant support from the Singapore Ministry of Education. Its degree programmes are validated by Goldsmiths, University of London.